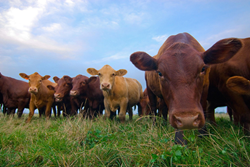 USDA is conducting the 2015 Certified Organic Survey to gather data on certified organic crops and livestock in the United States. This survey is critical to help determine the economic impact of certified organic agriculture production in the United States. USDA is gathering new data on certified organic agriculture production across the United States. As farm sales from organic agriculture products increase, demand for accurate statistics about organic farming grows as well. This survey will be another step forward by USDA in its commitment to helping organic agriculture thrive. The U.S. Department of Agriculture’s National Agricultural Statistics Service (NASS) has begun conducting the 2015 Certified Organic Survey to gather up-to-date data on certified organic crops and livestock in the United States. This special survey effort is critical to help determine the economic impact of certified organic agriculture production in the United States. NASS is mailing the survey to all known organic farms in the United States. The form asks farmers to provide information on acreage, production, and sales for a variety of certified organic crop and livestock commodities. In addition, NASS is gathering information about organic farmers’ production and marketing practices. The agency urges all participants to respond by February 19. After this date, NASS will follow up by mail, phone and personal interviews with those who have not responded. Producers can return their forms by mail or complete the survey online at http://www.agcounts.usda.gov. Agriculture statistics are frequently used by business and policy decision makers, and in this case farmers themselves stand to reap the most benefits. The 2015 Certified Organic Survey will provide data for USDA’s Risk Management Agency to evaluate crop insurance coverage to help provide adequate pricing for organic producers. The report, to be released September 2016, will also assist farmers, suppliers and others in the private sector in planning the production and marketing of new products to help sustain industry growth. As is the case with all NASS surveys, information provided is confidential by law. NASS safeguards the privacy of all respondents, ensuring that no individual operation or producer can be identified, as required by federal law. For more information about the 2015 Certified Organic Survey visit http://www.nass.usda.gov/Surveys/Guide_to_NASS_Surveys/Organic_Production/index.php. NASS is the federal statistical agency responsible for producing official data about U.S. agriculture and is committed to providing timely, accurate and useful statistics in service to U.S. agriculture. We invite you to provide occasional feedback on our products and services. Sign up at http://bit.ly/NASS_Subscriptions and look for the “NASS Data User Community.” USDA is an equal opportunity provider and employer. To file a complaint of discrimination, write to USDA, Assistant Secretary for Civil Rights, Office of the Assistant Secretary for Civil Rights, 1400 Independence Avenue, S.W., Stop 9410, Washington, DC 20250-9410, or call toll-free at (866) 632-9992 (English) or (800) 877-8339 (TDD)or (866) 377-8642 (English Federal-relay) or (800) 845-6136 (Spanish Federal-relay).